True Detective is the new HBO crime drama series starring Matthew McConaughey (as Detective Rust Cohle) and Woody Harrelson (as Detective Martin Hart). The story follows the Louisiana detectives who spend nearly two decades in search of a vicious killer. Like clashing magnets the polar opposites are forced to partner while investigating a murder unlike anything they have ever seen. Their past continues to haunt them until their case is reopened seventeen years later. The balance of work and life begin to teeter on the madness of the world around them. Written and created by Nic Pizzolatto and directed by Cary Fukunaga the series promises to bring a fresh take on a thrilling crime story. HBO, always on the cutting edge of television, is the perfect sounding board for what teases to be Matthew and Woody’s best work to date. How far is too far when delving into the darkness in search of a monster? Find out this January when True Detective premieres only on HBO (Sunday 1/12 at 9PM ET/PT). 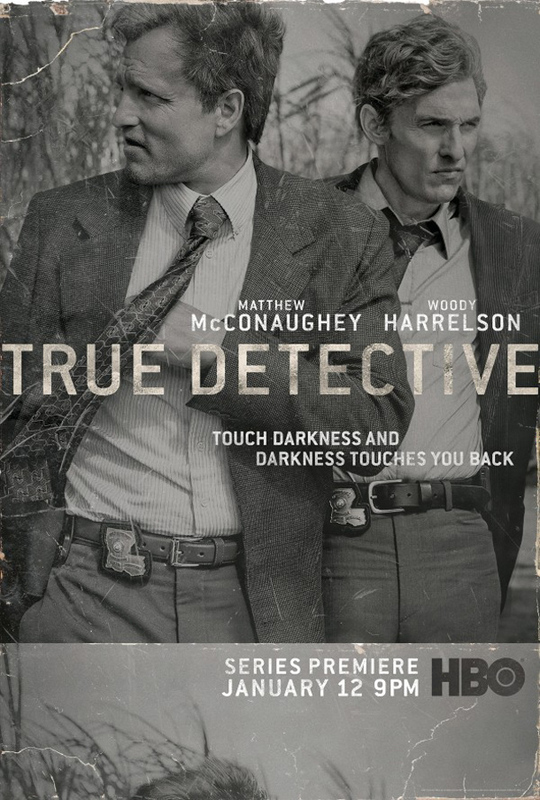 Comments for HBO New Series – True Detective are now closed.